A row of U.S. Air Force A-10 Thunderbolt IIs assigned to the 354th Expeditionary Fighter Squadronare parked off the runway during a theater security package deployment at Campia Turzii, Romania, April 1, 2015. 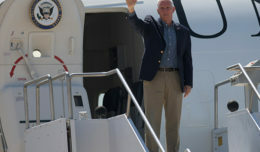 The aircraft deployed to Romania in support of Operation Atlantic Resolve to bolster air power capabilities while underscoring the U.S. commitment to European security and stability. 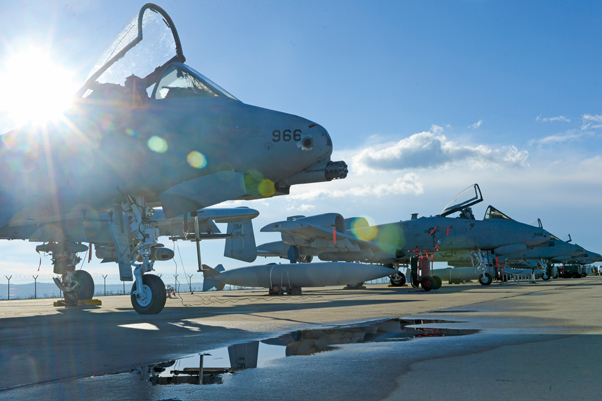 CAMPIA TURZII, Romania — Twelve U.S. Air Force A-10 Thunderbolt IIs deployed as a 90-day theater security package in support of Operation Atlantic Resolve to Campia Turzii, Romania, March 30. As part of the deployment, the U.S. and Romanian air forces will be flying together over the plateaus in the heart of Transylvania for Dacian Thunder 2015. The U.S. Air Force’s 354th Expeditionary Fighter Squadron’s 12 A-10 Thunderbolt II aircraft and the Romanian air force’s 71st Air Base’s MiG-21 fighter aircraft will conduct the training to increase relations and interoperability while building upon both nations’ joint capabilities and ensuring a stronger partnership. 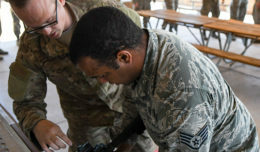 About 200 Airmen and support equipment from the 355th Fighter Wing at Davis-Monthan Air Force Base, Arizona, and the 52nd Fighter Wing at Spangdahlem Air Base, Germany, will participate as a combat capable force able to respond to a wide variety of operations. The A-10 supports Air Force missions around the world as part of the U.S. Air Force’s current inventory of strike platforms, including F-15 and F-16s. As part of Operation Atlantic Resolve, the aircraft will later forward deploy to locations in to reassure Eastern European NATO countries. “The TSP is another way the Air Force is increasing rotational presence in Europe to reassure our allies and partner nations that our commitment to European security is a priority,” said U.S. Air Force Lt. Gen. Tom Jones, USAFE-AFAFRICA vice commander. 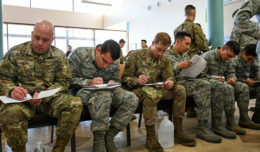 The theater security package serves as part of a routine deployment of additional fighter squadrons, support personnel and equipment aimed to bolster U.S. forces in Europe on a rotating basis. Theater security package rotations have been occurring in the Pacific region since 2004. “The U.S. Air Force’s forward presence in Europe provides the support infrastructure needed to increase our current force and build new and deeper partnerships across the continent,” Jones said. One of those deeper partnerships being enhanced will be with the 354th EFS’s hosts in Romania. U.S. Air Forces in Europe and Air Forces Africa has conducted training events like this in Romania in the past, including the recent Dacian Warhawk 2015 between the Romanian Air Force and the 480th Expeditionary Fighter Squadron assigned to Spangdahlem Air Base, Germany, as well as the previous Dacian Thunder with the A-10s in 2012.